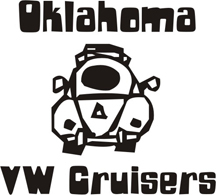 Oklahoma Vw Cruisers • Car showChoctaw CHURCH- July 29th NIGHT!!! Re: Car show - Choctaw CHURCH- July 29th NIGHT!!! Thought at nite, might be cool. In the pics from last year, what's his name red bug with German wife that doesn't hang with us was there. I'm trying to make with the SR. I'm so close, it runs, and I'm finshing brakes now. vdubjim wrote: Thought at nite, might be cool. The convertible ? He is at all the shows almost and all the coits shows talk to him alot when we are there. The red bug w/white walls is "Baby Ruth" and belongs to Doug and Ruth. The red convertible w/full leather interior belongs to Kevin and Tina. Wish i would have remembered to go! LOL.